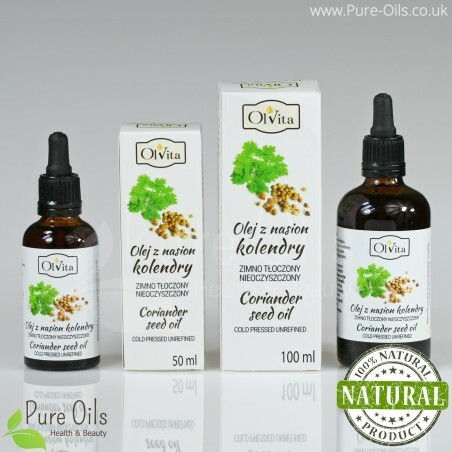 In addition coriander seed oil contains essential oil rich in linalool (coriandor), pinene and geraniol. 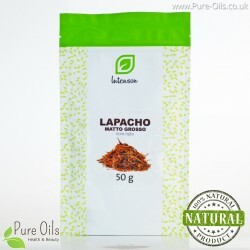 This product has a strong herbal taste and distinctive aroma. shows a positive effect on the pancreas. 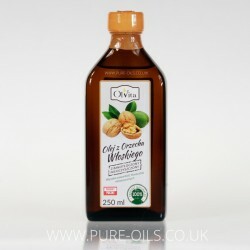 Coriander seed oil is also widely used in cosmetics. 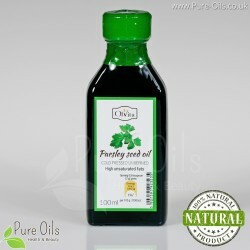 It is perfect for problematic, acne and seborrhea skin. has antibacterial, regenerating and anti-acne effects. 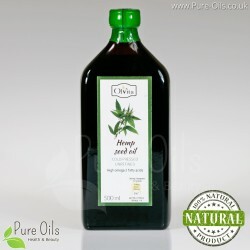 Coriander seed oil has a diastolic effect. It is not recommended for pregnant women. 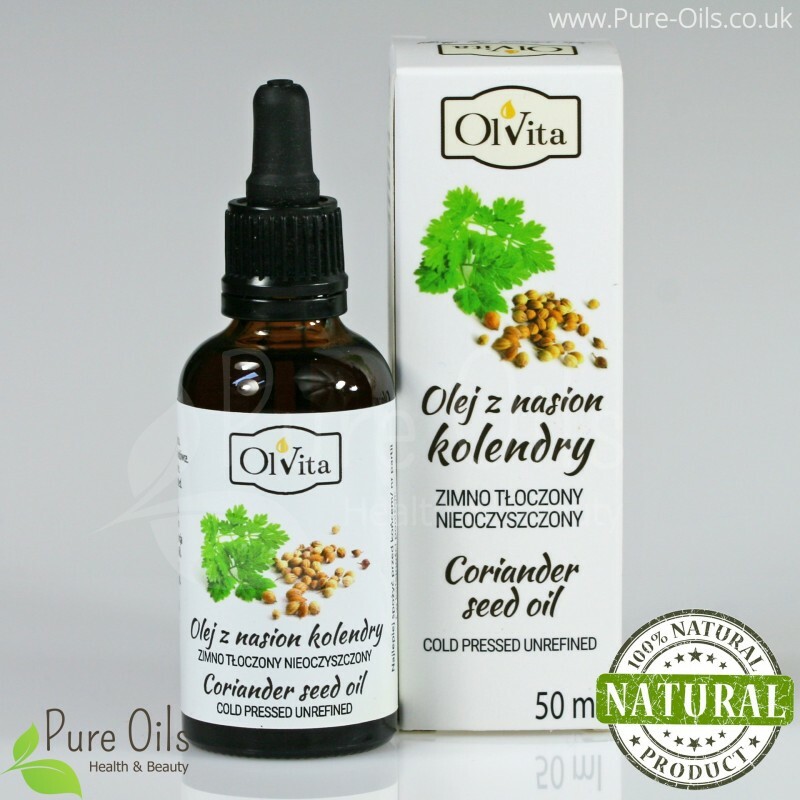 Coriander as a plant can cause allergic reactions and increase the sensitivity to the sun. 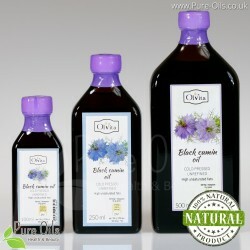 Coriander seed oil is sold in dark glass bottles with a convenient pipette. The product should be stored in a dark and cool place. After opening keep refrigerator. 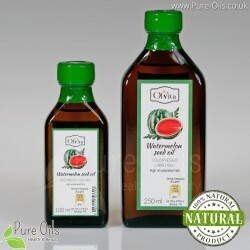 Suggested daily serving of oil is: 600mg (21 drops). 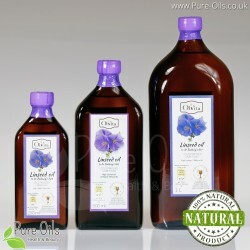 For direct consumption or diluted with other oil as an addition to salads or other cold dishes. May contain: sesame, gluten, soy and nuts such as: peanut, walnut, hazelnut, macadamia and almonds.